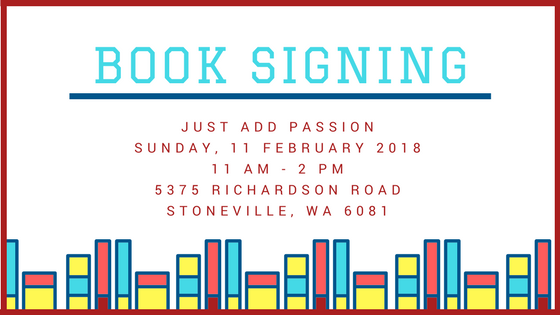 I am so pleased to announce that I will be at the WA Author Day which is being hosted at Just Add Passion on Sunday, February 11, 2018. There are going to be book launches, signings, and refreshments. So who else is going to be there? Karen Weaver, Carolyn Wren, Athena Daniels, Brenna Darcy and PL Harris. It’s going to be a fun-filled day and copies of my latest books will be available for purchase and signing.